Looks like it’s happening: Mercedes just confirmed that it will build the AMG F1 hypercar today during a press conference at the Paris Motor Show. 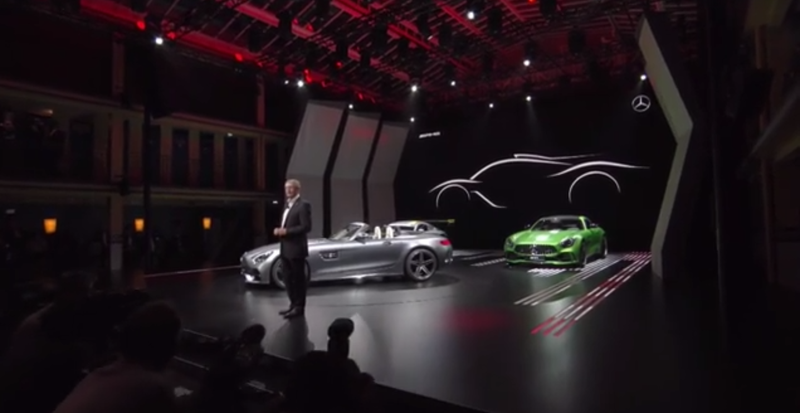 The Germans are saying it will actually be inspired by Formula One, and that it’s not just some marketing bullcrap. In fact, they’re saying it will use the whole powertrain from Mercedes’ current F1 car. We don’t have much more about the car other than the sleek-looking sketch from the press conference and that honestly could turn out to be anything. However, following the announcement from July about the Aston Martin AM-RB 001, it’s not surprising that Mercedes is heading this way also. The AM-RB 001 has a 1:1 power-to-weight ratio, which is reportedly Mercedes’ target for the hypercar. It’s also supposed to have gullwing doors. It will be Mercedes-AMG’s way of taking itself into “the future.” And, it will use the “entire powertrain from [the] current F1 car,” tweets freelance auto journalist Andrew Frankel. This whole Redbull-Aston Martin-Mercedes AMG love triangle is throwing a strange angle on things. Typically, I would say that F1 cars are separate from road cars, but in recent years that line has been blurred by the hybrid hypercar movement. The AM-RB 001 is a track day not-race-car. Talk of the hybrid tech trickle down definitely shows that Mercedes is ready to combine the two. Would this affect the Aston Martin-AMG partnership, then? Remember that Mercedes has created quasi-road cars from race cars before. Case in point: the utterly ballistic Mercedes CLK GTR. And then there were ones that didn’t see the light of production, like the Mercedes C112. Still, a carmaker confirming that a car is going to happen is still a long way away from its actual production. It’s a nice first step, though. Here’s the press conference from the Paris Motor Show where the hypercar was confirmed.